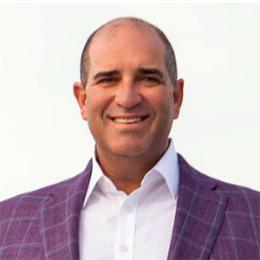 Eric Iantorno is a highly-regarded and award-winning real estate expert specializing in luxury and waterfront homes for sale in San Diego County. Born and raised in San Diego, he has lived in Encinitas, Del Mar and Rancho Santa Fe where he attended Torrey Pines High School along with his younger siblings, Jordan and Max Iantorno. Eric’s parents, Pat and Julie Iantorno, currently live in Solana Beach and are active members of the community. Eric currently lives in Encinitas with his beautiful wife Heather and two sons Ryder and Rocket. He is a scratch golfer and continues to enjoy golf as a business and networking tool. His passion for golf landed him at the University of Arizona as a student athlete where he was a member of the #1 ranked Men’s Golf Team. Licensed since 1998, Eric is consistently a Top Producer for Pacific Sotheby’s International Realty. Currently, in 2017, he is ranked the #1 individual agent for PSIR. The US Real Trends report recognizes the top 1000 agents across the country every year… Eric is ranked 204.